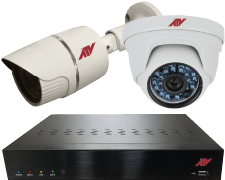 Helping you monitor all the most important developments in the video surveillance industry. February 03, 2015 -Panasonic Corporation of North America announced that it has entered into an agreement to acquire all shares of Houston, TX-based Video Insight, Inc., a developer of video management software, as part of its strategy to expand business opportunities for both companies in the education market in North America. Founded in 2002, Video Insight provides enterprise-class video management solutions for security systems to over 25,000 customers in the financial, government, retail and transportation sectors as well as 6,500 K-12 school and college customers. Panasonic Group has set a clear target of reaching 10 trillion yen in sales by 2018, and B2B solutions, including security systems and video surveillance, will play an important part in achieving this high growth globally. As customer needs in the video surveillance market become more diversified, video management software with the ability to easily integrate multiple devices will become even more important. Adding Video Insight to the Panasonic Group enhances the Panasonic portfolio and broadens its reach into education. As part of the agreement, Video Insight will remain under the strong leadership of its founders J. Robert Shaw and James Whitcomb to continue to evolve the open platform system which today supports over 2,500 camera models from over 100 manufacturers and integrates across the most popular access control platforms.